With Automechanika Birmingham around the corner, Torque looks at products and services for the automotive market. Many fasteners used in the automotive industry include a nylon patch to create a seal or to prevent fasteners from loosening over time. ND Patch is one of a wide variety of materials formulated and applied by ND Industries for fastener thread locking and sealing. During the ND Patch application process, fasteners are heated and sprayed with a custom nylon powder which adheres to the part. ND Patch fasteners are dry to the touch, ready for immediate use and, unlike reactive thread lockers, require no cure time after installation. When assembled with a mating part, the engineered plastic nylon patch is compressed. Due to elastic memory, the patch resists this compression and acts like a wedge, increasing the metal to metal contact 180° opposite the material. This mechanical force creates a strong, yet fully adjustable lock which will not weaken, even under extreme vibration. Super-fast and easily installed: These are the strengths of Starlock push-on fasteners. They slide very easily over smooth, ungrooved, metal or plastic axles, shafts or pins. With the TIOS APS installation workstation comes an efficient fastening solution for use in various industries. Aside from being intensively used in the sheet metalwork, white goods, automotive, climate and electrical industries, this fastening technology can also be found in the toy industry. In fact, the range of industrial sectors is constantly growing. All of these areas need to ensure that the quality of the cycle times, feed and precision remains constant. The TIOS APS installation workstation is designed to do exactly that. The newly launched 53400300 Carbon Tec HHO promotes efficient engine operation by using HHO to remove carbon deposits that have built up in the engine. 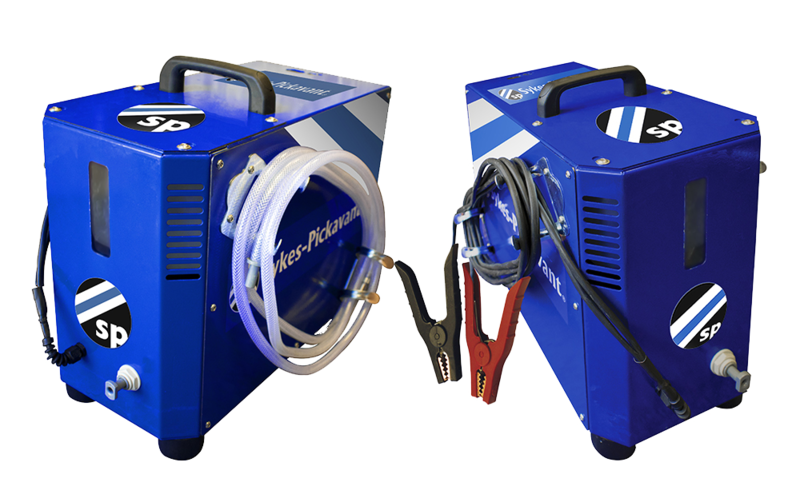 The portable Carbon Tec HHO allows for use in and out of the garage, working off the vehicle’s battery on a safe low voltage of 12v when the engine is running. With little or no disassembly of the engine required, it is a perfect solution for those working on a mobile basis with an easy procedure that can be carried out by just one operator. The machine is low maintenance with no need for the user to stay with the vehicle continuously during operation and no requirement for constant replenishment of fluid after each application. Suitable for petrol and diesel combustion engines, the Carbon Tec HHO loosens built-up carbon by releasing hydrogen into the combustion engine’s air inlet system whilst running. These deposits block and clog the engine which can cause expensive issues; resolving these prior to damage can save hundreds of pounds on parts and labour for vehicles with and without DPFs. The Carbon Tec HHO is made in the UK, with a two year warranty for added peace of mind. A full back up service is available to maintain the life of the machine. Showcased at the CV show, the Carbon Tec HHO features in the firm’s next promotional brochure. Specifying high-performance coatings in automotive applications is key to improving the aesthetics and lifespan of fastener components. Ideal for use on interior and exterior parts, MacDermid Enthone Industrial Solution’s ZinKlad 1000 B, which has been production proven for more than ten years, is a high-performance coating that helps fastener engineers and global automotive manufacturers achieve a glossy black uniform finish. Used on threaded, unthreaded and self-thread cutting fasteners, ZinKlad 1000 B delivers exceptional corrosion resistance. Recently, MacDermid Enthone has gained new approvals for ZinKlad 1000 B from Chrysler and General Motors. These specifications have even higher performance requirements and will be classified as ZinKlad 1000 B(EXP) and ZinKlad 1000 B(HG) respectively. The new finishes will be additional to the existing 1000 B portfolio, currently approved by Alstom, Delphi, FCA, Ford, JLR, Navistar, PSA, Renault and Volkswagen. Where applicable, applicators will need to be audited to meet the enhanced designations. To find out more about the ZinKlad quality assurance program click the link below.